The Athletes Box reserves all right, title, and interest not expressly granted under this Agreement. Copyright. Trademark. All content, which includes, without limitation, articles, films, media files, reviews, software, and source code (collectively, "Content"), on The Athletes Box Network is subject to copyright protection and may not be displayed, reproduced, distributed, modified or used in any other manner except with the written permission of The Athletes Box and its Content providers, or the owners of the specific content. All Video Footage is owned by their production companies and studios. Trademark. The names or services of and on The Athletes Box Network, including, without limitation, "The Artists Box", "The Action Box", "The Athletes Box", "The Actors Box", “TAB Photo Card”, “TAB Web Link”, “Plug-In”, "The Future of Submission", "What Do You Submit? ", "Don’t just submit yourself, promote yourself", "TAB" and "Be Different, Be Professional," are trademarks, pending trademarks, or registered trademarks of The Athletes Box & The Action Box & The Actors Box. Other names or services on The Athletes Box Network may be the trademarks of the respective owners. You agree not to use any The Athletes Box trademarks or any confusingly similar marks for any purpose without the express prior written consent of The Athletes Box in each instance. Violations may result in severe civil and criminal penalties. The Athletes Box authorizes you to access and use the Content solely for your personal, non-commercial use. You may not sell or modify the Content, and you may not reproduce, display, publicly perform, distribute, or otherwise use the Content in any way for any PUBLIC or COMMECIAL PURPOSE. As an express condition of your use of The Athletes Box Network, you warrant to The Athletes Box that you will not use The Athletes Box Network for any unlawful purpose or purpose prohibited by this Agreement. If you violate any part of this Agreement, your permission to use the Content automatically terminates and you must immediately destroy any copies you have made of any of the Content. The Athletes Box makes no representation that the Content is legal or appropriate for use outside of the United States or that it is authorized for export from the United States or import into any other country. You are solely responsible for complying with all import and export laws and regulations and all applicable laws of any jurisdiction outside of the United States from which you may access The Athletes Box Network. The Athletes Box Network may contain inaccuracies or typographical errors. The Action Box makes no representations about the accuracy, reliability, completeness, or timeliness of the Content or about the results to be obtained from using The Athletes Box Network or the Content. Your use of The Athletes Box & The Athletes Box Network, including, without limitation, the services and information, contained therein, is on an "as is" basis and is at your own risk. The Athletes Box may make changes in the Content at any time. Disclaimer of Liability. The Athletes Box , ITS RESPECTIVE OFFICERS, DIRECTORS, SHAREHOLDERS, EMPLOYEES, ACCOUNTANTS, ATTORNEYS, AGENTS, AFFILIATES, SUBSIDIARIES, SUCCESSORS AND ASSIGNS (COLLECTIVELY " The Action Box ", or "The Actors Box") SHALL NOT BE LIABLE FOR ANY DIRECT, INCIDENTAL, CONSEQUENTIAL, INDIRECT, OR PUNITIVE DAMAGES ARISING OUT OF OR CONNECTED WITH (I) YOUR USE OF The Athletes Box NETWORK, (II) YOUR USE OF The Athletes Box SERVICE (PRESENTATION BOXES) AND (III) ANY OTHER SUBJECT MATTER OF THIS AGREEMENT. The Athletes Box Makes No Representations or Warranties. WITHOUT LIMITING THE FOREGOING, EXCEPT AS EXPRESSLY STATED IN THIS AGREEMENT, The Athletes Box MAKES NO REPRESENTATIONS OR WARRANTIES OF ANY KIND, EITHER EXPRESS OR IMPLIED, AS TO ANY MATTER INCLUDING, WITHOUT LIMITATION, IMPLIED WARRANTIES OF FITNESS FOR A PARTICULAR PURPOSE, MERCHANTABILITY, NON-INFRINGEMENT OR OTHERWISE WHICH WOULD EXTEND BEYOND THE REPRESENTATIONS AND WARRANTIES CONTAINED IN THIS AGREEMENT. Third Party Links. The Athletes Box Network may contain links to Web sites ("Third Party Web Sites") operated by parties other than The Athletes Box, The Actors Box and The Action Box may license Content from The Athletes Box Network for use by Third Party Web Sites. The Athletes Box makes no representation or endorsement of the Third Party Web Sites and you access them at your own risk. Use Of Interactive Communities At Your Own Risk. 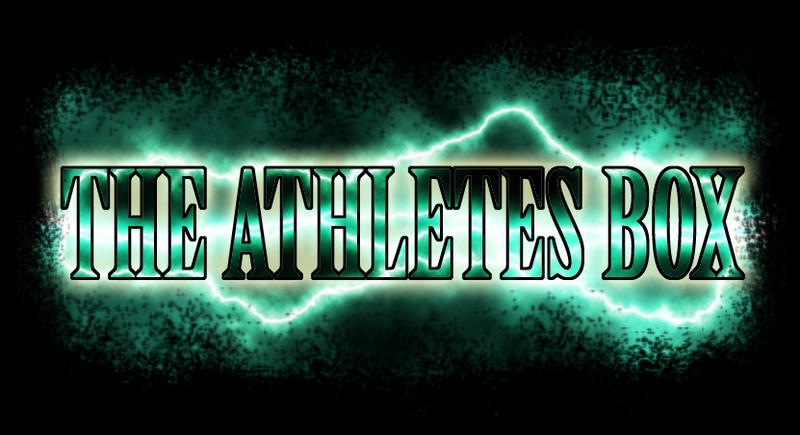 The Athletes Box Network contains, or in the future will contain, bulletin board services, chat areas, news groups, forums, communities and other message and communication facilities, including, without limitation, "Networking" , "Plugging-In" ("Communities"). The Athletes Box does not control the files, information, or messages (collectively, "Information") delivered to or displayed in the Communities, unless otherwise noted therein, and The Athletes Box assumes no duty to, and does not, monitor or endorse Information within the Communities, nor does The Athletes Box represent or guarantee the truthfulness, accuracy or reliability thereof or that the Information complies with the terms of this Agreement. The Athletes Box reserves the right at all times to edit, refuse to post, or to remove any Information, in whole or part, that The Athletes Box deems inappropriate for inclusion in the Communities. The Athletes Box reserves the right to expel you from or suspend your access to some or all of the Communities and/or services for violating the law or this Agreement. The Communities are public and not private communications and may be read by others without your knowledge or permission. Although a particular Community may have a policy of limited membership or access, The Athletes Box shall have no liability if unauthorized persons nevertheless obtain access to the Community. Your use of the Communities is at your own risk so be careful about disclosing your personal information. Infringement. Information that violates or infringes upon the copyright, literary, privacy, publicity, trademark, service mark or any other personal or property right of any person or entity or which discloses any trade secret or confidential information. Software. Software or materials that contain a virus, corrupted files, or similar programs that may damage the operation of another's computer or The Athletes Box & The Athletes Box Network. c. Post advertisements of solicitations of business, except in areas expressly designated for such purposes and in accordance with the express rules and regulations established by The Athletes Box . d. Post chain letters or pyramid schemes or impersonate another person. e. Manipulate headers or identifiers so as to disguise the origin or content of any posting. f. Do any act which interferes with or slows the operation of The Athletes Box Network. The Athletes Box may condition your right to participate in the Communities on your furnishing to The Athletes Box and keeping updated at all times such personal identifying information as The Athletes Box may reasonably require, including, without limitation, your true name and a current, active e-mail address. The Athletes Box reserves the right to suspend or terminate your access to some or all of the Communities if The Athletes Box has a good faith basis for believing that any of the information you have supplied is inaccurate or that your account is being used by anyone other than you to access the Communities. By posting material to the Communities, you automatically grant to The Athletes Box a royalty-free, perpetual, irrevocable non-exclusive license to use, reproduce, modify, publish, edit, translate, distribute, perform, display and otherwise exploit such material and all elements thereof alone or as part of other works in any form, media, or technology, whether now known or hereafter developed, and to sublicense such rights through multiple tiers of sublicenses, all without any obligation to you, whether by way of compensation, attribution or otherwise. Choice of Law and Forum. This Agreement, its interpretation, performance or any breach thereof, will be construed in accordance with, and all questions with respect thereto will be determined by, the laws of the State of California applicable to contracts entered into and wholly to be performed within said state. You hereby consent to the personal jurisdiction of the State of California, acknowledge that venue is proper in any state or Federal court in the State of California, agree that any action related to this Agreement must be brought in a state or Federal court in the State of California, and waive any objection you may have in the future with respect to any of the foregoing. Notwithstanding the foregoing, The Athletes Box reserves the right to commence an action in your home state in regards to this Agreement. Indemnity. You agree to defend, indemnify and hold harmless The Athletes Box , its licensees, successors and assignees, its Content providers, advertisers and sponsors, the parent, affiliated and subsidiary companies of each of them and the officers, directors, employees, and agents of each of them from and against any and all third party claims, damages, liabilities, costs and expenses, including reasonable legal fees and expenses, arising out of or related to any breach by you of this Agreement, any material which you may post to the Communities or any use of the Content by you or under your control. Severability. If any provision of this Agreement, or application thereof, shall be held invalid by a court of competent jurisdiction, such provision shall be changed and interpreted so as to best accomplish the objectives of the original provision to the fullest extent allowed by law and the remaining provisions of this Agreement shall remain in full force and effect. Use of "You" or "Your". The words "you" or "your" shall also mean heirs, executors, administrators, successors, legal representatives and permitted assigns. Waiver. Any waiver of any provision of this Agreement must be in writing and signed by an authorized representative of The Athletes Box. 5)	A statement by you, made under penalty of perjury, that the above information in your notice is accurate and that you are the copyright owner or authorized to act on the copyright owner's behalf. Printed Agreement. A printed version of this Agreement and of any notice given in electronic form shall be admissible in judicial or administrative proceedings based upon or relating to this Agreement to the same extent and subject to the same conditions as other business documents and records originally generated and maintained in printed form.